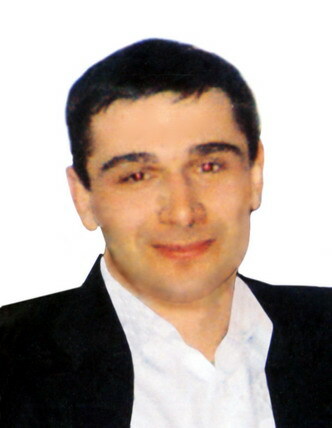 Bersanov Adam Magomed-Gireyevich, 1977. kidnapped in December,5, 2004. We,Adam Bersanov’s relatives address to all people with request to help finding our kinsman,living in Malgobek, Ingushetiya, kidnapped by members of RF FSB bureau on Ingushetiya. In December,5,2004, after 01:00,some camouflaged,masked and armed persons smashed into his house(they were in three autos «Gazel» and «Niva»). Adam was laid on the ground,then his hands were tied. All his mothers’ attempts to get to know what was going on were of no use. When his mother asked the abductors to allow his son to dress,she was abused with obscene language and threatening with weapons made to keep silence. Adam was thrown into one of the abductors’ cars, but about an hour later, the motorcade was stopped on Kantyshevsky crossing traffic militia checkpoint. «Special pass» was shown to members of the traffic militia and they were able to write its number down and later it was given to the office of Ingushetiya procuracy. Besides,in an hour and a half, duty officer of the republican procuracy,Nalgiev told he had some information that militia members traced the abductors’ motorcade way. They informed that it went in the RF FSB bureau territory in Magas. He even mentioned the member’s surname who informed him. The republican procuracy and ministry of internal affairs has all that information but no efficient and essential actions, provided by acting legislation, have not been started. Up to now, a location of Bersanov Adam and persons kidnapped him have not established. By fact of Adam Bersanov kidnapping,the criminal case was actioned only in 11 days since he had been abducted. We were shocked with an article » Arrested without a trace» in «Comersant» newspaper № 8, January, 20, 2005. The article starts with the words – « RF general procuracy arrested two terrorist allies that terrorists who kept hostages in September,1-3, in the school №1 of Beslan town. … Yesterday,RF deputy general procurator,Vladimir Kolesnikov and Nikolai Shepel announced about it in Vladikavkaz. As it turned out,one of the (arrested) for aiding of Beslan terrorists men are searching in Ingushetiya as a victim of kidnapping». Hereafter,Vadim Tokhsyrov and Sergei Mashkin,the article authors, continue: «Certainly known,a 30 years old native of Malgobek,Adam Birsanov was arrested for aiding of terrorists in Beslan and RI procuracy brought an action according to the fact of kidnapping». Actually,the only son of the mother was abducted. Adam Bersanov is kidnapped and it is an established fact. His relatives have no any information about his location and a state of his health. After Adam’s kidnapping,his daughter was born. Urgent request to all who are able to know something about location of Bersanov Adam,please inform his mother,Bersanova Kazban.